Guns are to warfare what typewriters are to writing: One changed the face of war, and the other, communications. 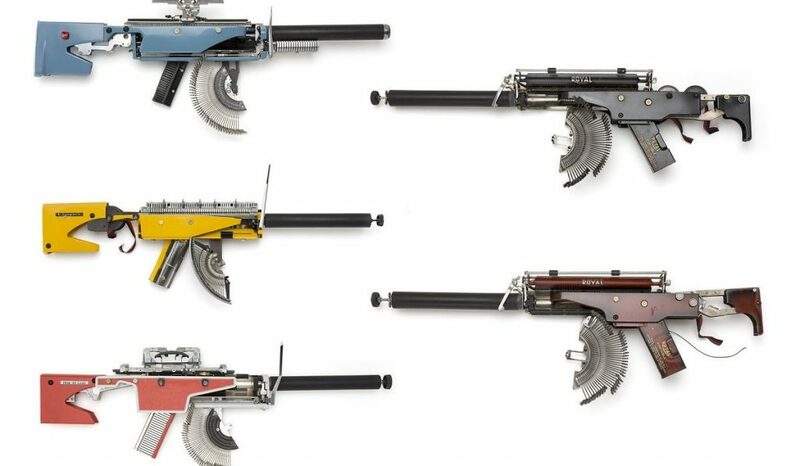 Montreal-based artist and sculptor Eric Nado has married the two in his eye-catching reconstructive art series, Typewriter Guns. 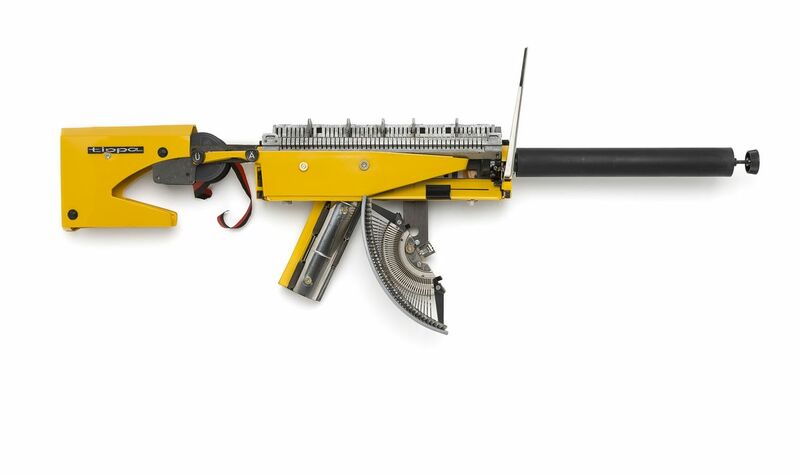 Each “gun” is a reconstruction of a vintage typewriter and every series (of five to eight typewriters) he undertakes can take up to two months to complete. “Each typewriter gun is specific to the original typewriter it sprang from,” Nado tells The Peak. “Colours are preserved and the results are uniquely different.” His works have gone down well with private collectors, and he has also been commissioned to reconstruct machines close to some clients’ hearts. But the series’ pertinence, he says, lies in more than a nostalgia trip.